The Thanksgiving Turkey Crochet dishcloth is now available in the Holiday Dishcloth Set Crochet Pattern. I LOVE this dishcloth! I think it’s the cutest one yet! This Thanksgiving Turkey Dishcloth is adorable. Would make a great decorator piece too. 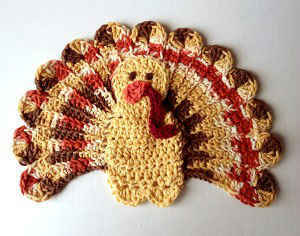 i love the turkey dish cloth, can’t wait to make it, he is soooo cute. Beautiful!! What brand and color is the multi-colored yarn you used? Thank-you so much for the Turkey Dishcloth Pattern. I love it! 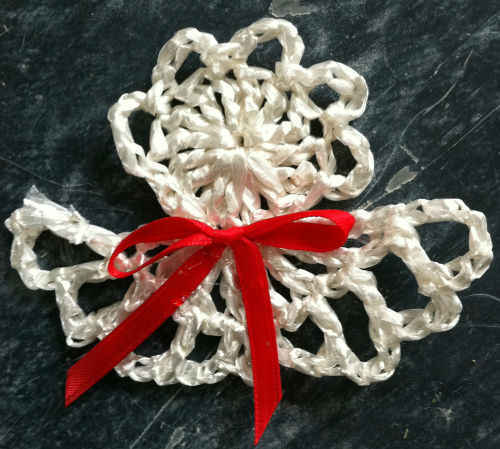 I work in a craft store and refer ALL my customers to your wonderful site. 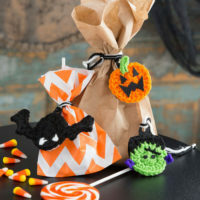 I also work in an elementary school and make gifts for my teacher collegues from your wonderful patterns and supplies and also refer them to your site.I look foreward to shopping every day. Can you share the item number for the multi-colored yarn? I can’t find any colors that I think would match the picture?